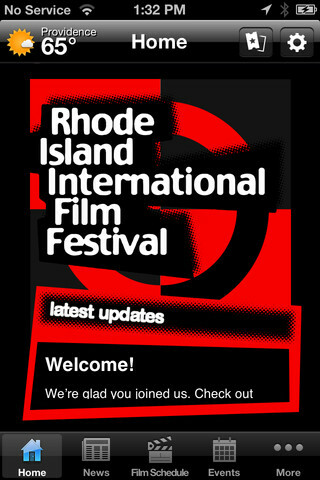 Now in its Twelfth Year, the Rhode Island International Film Festival™ (RIIFF) will take place August 5-10, 2008. Ranked as a one of the Top 12 Film Festivals in the United States, this world-class event will be held at venues around Providence. It features screenings, filmmaking workshops, meet-and-greet industry events and seminars. Aiming to promote Rhode Island as a filmmaking location and to celebrate the independent filmmaking spirit, RIIFF also hosts a number of high-profile premières and provides a showcase for international features, documentaries, and shorts. Founded in 1997, the Rhode Island International Film Festival has quickly carved out a name for itself. It accepts films of any type, in any genre and will screen this year 289 international productions. Rhode Island native Bobby Farrelly was so impressed with the festival's debut that he held the world premiere of his next film - There's Something About Mary - at the 1998 event. This year, RIIFF will screen amazing new work selected from over 3,000 film submissions. 100% of the RIIFF schedule is created from these film submissions; and not culled from other festivals. This makes for a truly dynamic event where regional audiences discover new work and new filmmakers whose work often overlooked. IMPORTANT: CERTIFIABLY JONATHAN Plays at the Cable Car Cinema, Providence at 9:30 p.m. Sunday, August 10th! • All URI Feinstein Campus events moved to Brown University (click on link above) due to construction. • Gallery Z, 259 Atwells Avenue, Providence for special screening of "Tabriz: Images from the Forgotten World." • Special 35mm screening of "Gone Fishing" scheduled for Saturday, 7:00 p.m. The Columbus Theatre. ** "Boogie Man: The Lee Atwater Story" will no longer play. "The Sky is Always Beautiful" 14 min. "Sotto il mio Giardino" 19 min. "Side by Each" 98 min. 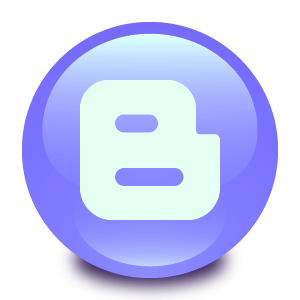 ** "OBCY VI / Alien VI" will no longer play. ** "Between Love & Goodbye" will no longer play. "Say that You Love Me" 9 min. "And Then She Was Gone" 7 min. • RIIFF Opening Night Films: unforgettable and imaginative films that will start off this year's festival with a bang! Take the cake and eat well too! We are very excited to once again be screening work by our long-time friend, Bill Smyth. Bill is the brains and talent behind the RIIFF trailers. 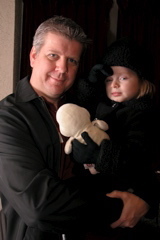 A multiple Emmy Award-winning writer and producer, Bill has also seen three Emmy nominations for RIIFF trailers and two wins. This year's commercial was written by RIIFF Board member, Duncan Putney.